The 2nd book is ready! For a while now I have been working on a series of concertinas soon to be available via my website. This is one of the new models. Since Valentine's Day is coming I thought it would be nice to include it in Project 2014. The concertina can hold a 10 x 15 cm picture, but you're free to insert a 10 x 10 cm picture and write some text below. If you want to win the 2nd copy check my Facebook page for the Valentine giveaway action which will run until next Saturday. Curious about the story behind this project? Read all the posts about Project 2014. 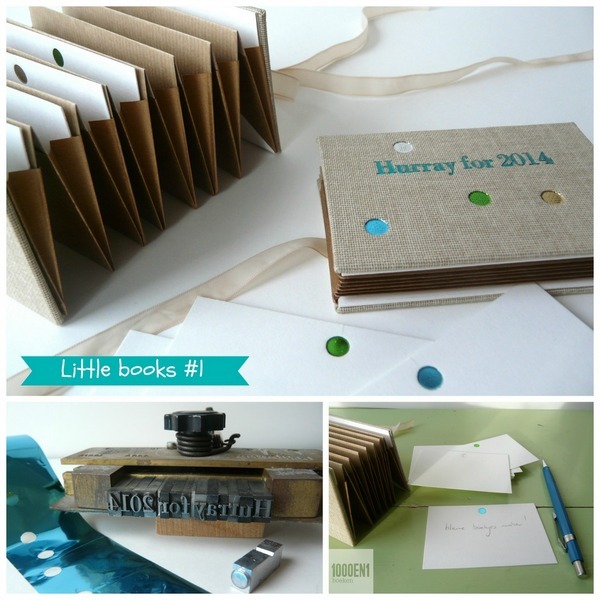 A new year, a new project called “Little Books”! I have worked with great pleasure on Project 2013 so this year I also want to make room for a new project. If you make your hobby your work, it's very good to keep developing yourself. There are so many books that I want to make. In my studio I have a shelf full of books with inspiration. I learned to make this book, The Upside Down, last year. It was designed by Hedi Kyle and I have given my own interpretation to it. It has become a folder for good intentions. And at the end of 2014 all the fun moments will be gathered in this little book. 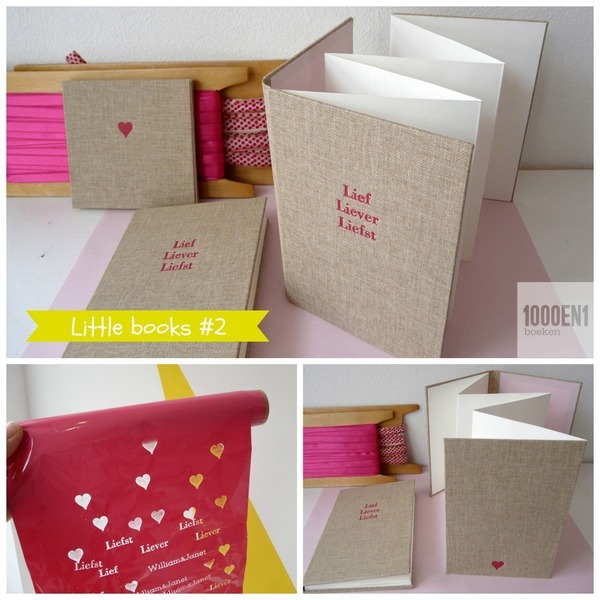 My intention is to set up every little book project in 2014 in duplicate. One to keep for myself and the second as a present on Facebook or Instagram through a give-away. The second copy of this little book was sent by mail yesterday. It is so exciting to send a surprise package!